Robust wheelchair model with treads! Most people accept that a wheelchair is, in fact, a chair with wheels. 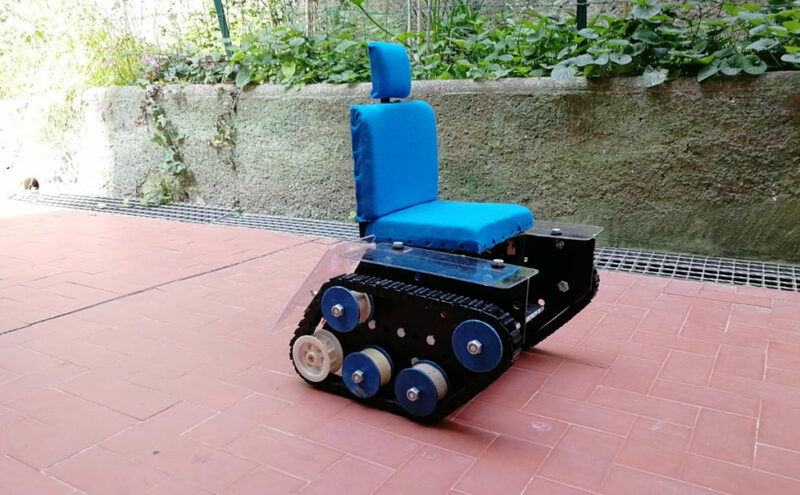 This, however, didn’t stop recent Galileo Galilei Technical Institute graduate Davide Segalerba from turning this concept on its head and producing a “wheelchair” scale model driven instead by a pair of treads. This concept was inspired by Segalerba’s experience using a wheelchair himself while recovering from multiple surgeries, observing that our environment isn’t always conducive to wheeled transportation. An Arduino board controls the device, and user input is via a joystick, or from a smartphone app over Bluetooth. You can read more about the projector on Wired Italia or translated to English here.